This weekend we decided to do something a little different. A weekend with the girls has been on the agenda for a while now, especially with all eight of us present. Now we're all growing up, buying our houses, getting engaged and living further apart, we really do have to jump on those moments where we all have a free slot in our diaries at the same time! 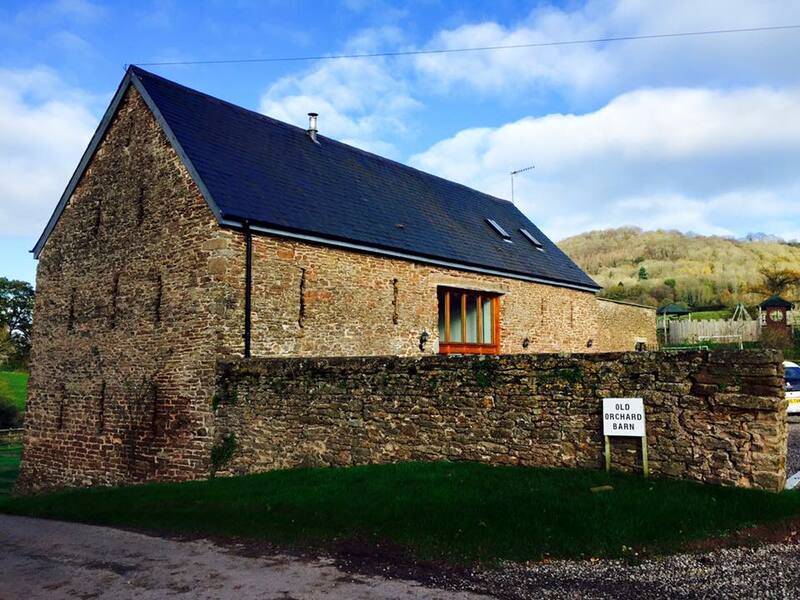 We found this lovely little barn conversion through the HomeAway website, called the Old Orchard Barn located in Llanrothal, near Monmouth in Wales. 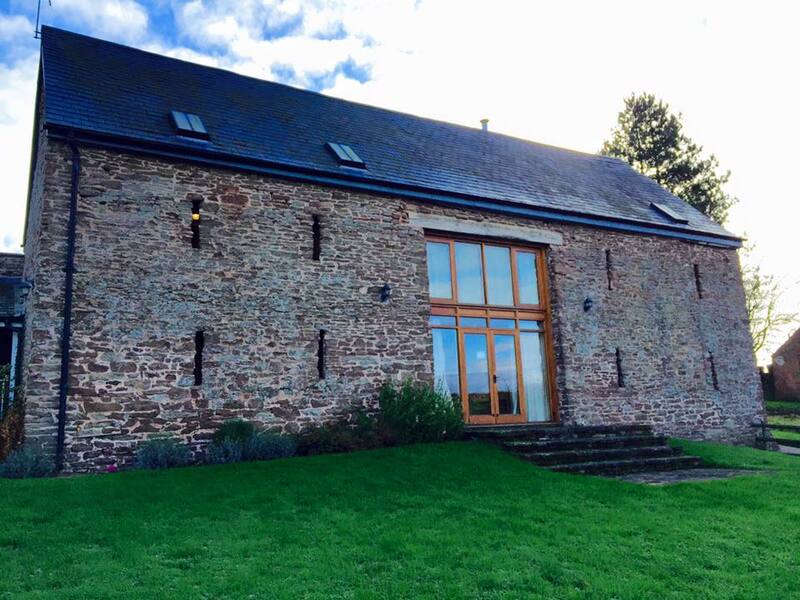 The main reason we were drawn towards this barn; not only did it look amazing on the pictures but the price was super affordable.. staying two nights worked out as £35 each between 8 people! As its location is quite rural, a car is a must if your to get about and travel - so we hired two rental cars between us, which again only amounted to £65 per car for the whole 3 days, another bargain! 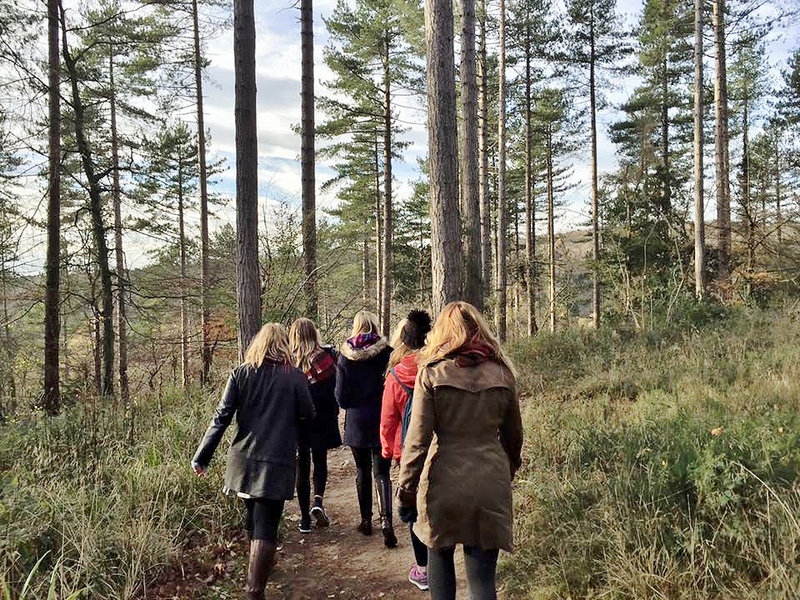 It was ideal to have the car too because it meant we could jump in and explore our surroundings - there's lots of places nearby for woodland walks and scenic viewpoints! We stocked up on lots of food and booze and thoroughly enjoyed making the most of our huge dining table and the fully equipped kitchen. 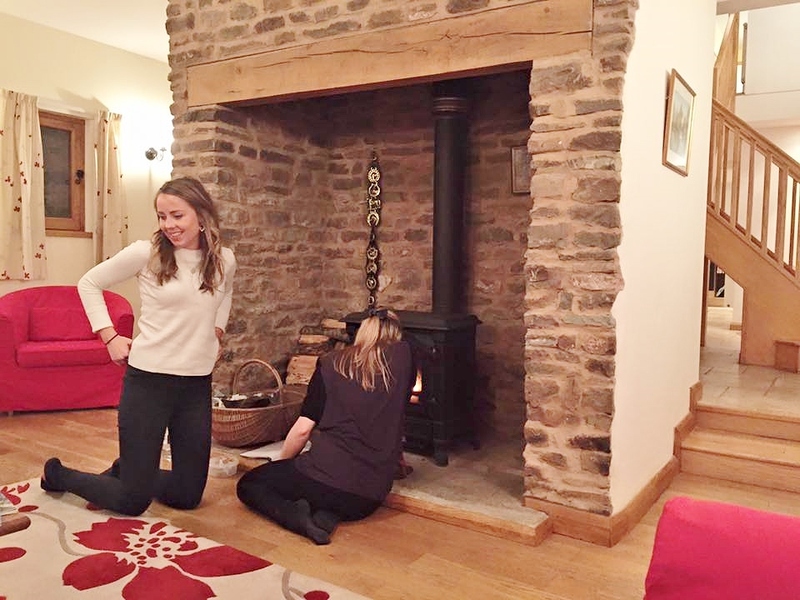 We sat down on Saturday morning to eat homemade pancakes and on the evening pasta bake with salad and garlic bread, oh and not to forget, lots of wine! The barn conversion itself was beautiful; oozing charm and character with wooden beams spanning the entire length of the rooms, it was a real countryside retreat. The ceilings were very high and there were floor to ceiling windows on one side of the house looking out onto the driveway, which made the place feel very big, bright and airy. The best feature had to be the open plan staircase, which was the center piece of the room, with various walkways joining up the second floor of the house, it looked like something out of grand designs! It was a lovely weekend and great to catch up with the girls and have a giggle over far too many glasses of wine. 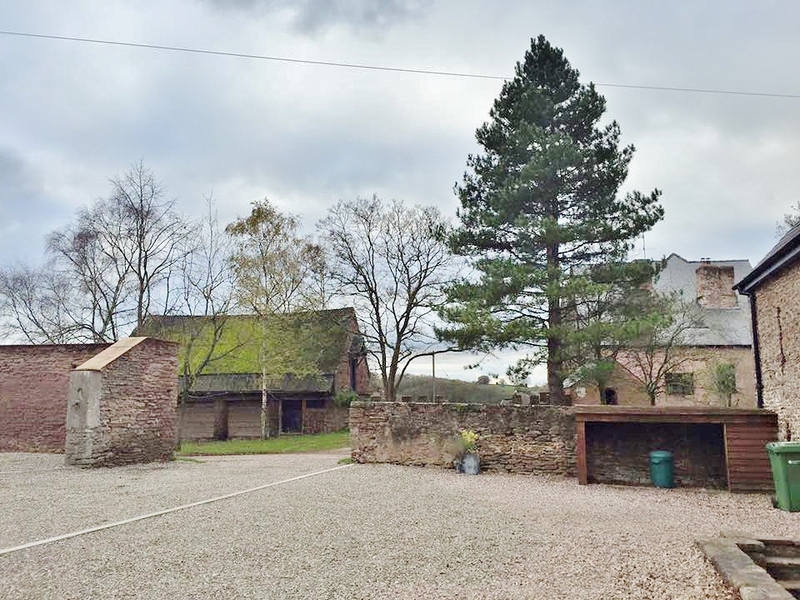 I'd definitely recommend to anyone - if your looking for a place with countryside rustic charm to accommodate up to 8 people at a VERY affordable price you'd best look here!